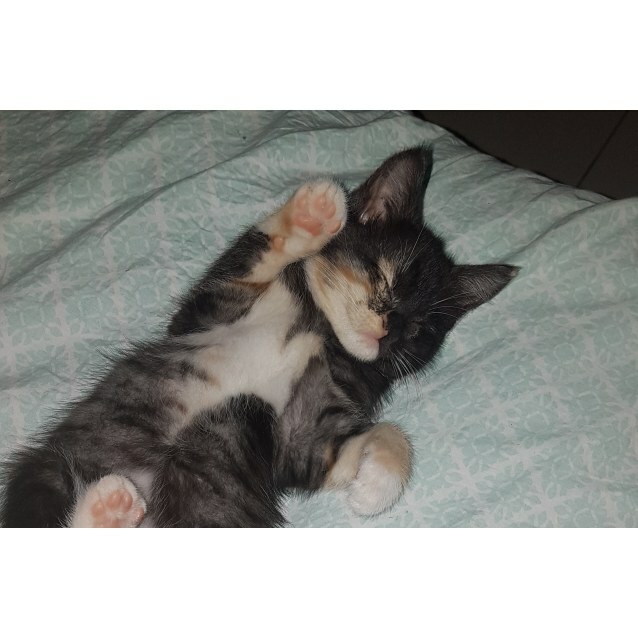 Calipso is a gorgeous little girl with beautiful tortoiseshell markings. She's a quiet little kitten who will be running around crazy with her siblings one minute, and the next sitting quietly in a corner watching the world go by. Calipso is affectionate and has a slight obsession with her human's feet! She likes to chase them around the room and then sit on them, staring lovingly up at you. She has spent time with both children and adult cats. Calipso is ready for her forever home, can you give it to her?